Wedding Photographers in Westport are able to capture photos that allow couples to relive every precious moment of their special day. Westport is a large, affluent coastal town in Connecticut, located along the Long Island Sound. The town is home to a number of estates and structures that are listed on the National Register of Historic Places, as well as a few parks that are managed by the municipality. As one of the prominent Wedding Photographers in Westport, I tried to take pictures of this bride and groom in the context of the town’s natural beauty. The picture displayed depicts an ethereal scene that looks like an image from a fairytale. In the image, the bride and groom embrace on the lawn of a private residence. This is the moment after the bride and groom’s first look, the instant in which the groom sees the bride for the first time before the wedding ceremony. A first look moment and photograph is something that many couples are now choosing to do. The memory of that first look, before the couple is surrounded by their family and friends, is one that they will cherish for a lifetime. This first look image is made all the more enchanting with the natural light that filters over the scene. The top right corner of the photo is overtaken by the light of the midday sun. 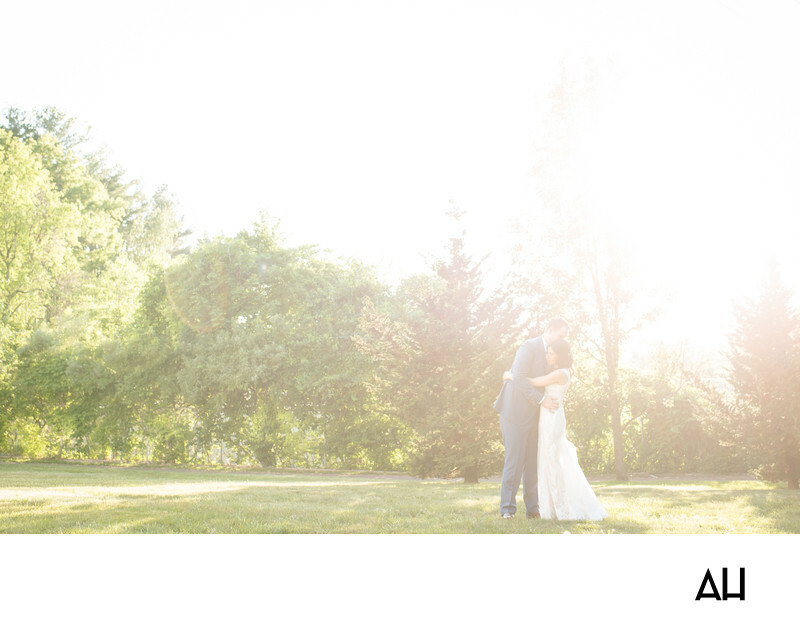 From this spot, the sun shines rays of white light over the couple and gives the picture a heavenly ambiance, making it appear that the moment has been touched by magic.